The General Conditions of Sale (hereinafter GENERAL CONDITIONS) contained therein govern the sale of products marketed by OlioCru srl on the site www.oliocru.it, through a remote sales system through the communication technology called “Internet”. All purchase contracts of the products marketed, concluded through the website www.oliocru.it, owned by OlioCru srl following the on-line procedures indicated, between OlioCru srl and the INTERNET CUSTOMER (hereinafter CLIENT), will be governed by these Conditions Generali, which form an integral and substantial part of them. – the order and the receipt are considered received when the parties to whom they are addressed have the possibility to access them. Any modification to these General Conditions of Sale will be effective from the moment of its publication on the site and will be applied only to sales concluded after the publication itself. Via Maso Belli, 1 / B – 38066 Riva del Garda (TN) Italy. Purchase orders concluded through the website www.oliocru.it must be complete in their entirety and must contain all the elements necessary for the exact identification of the products ordered and the place of delivery. The orders are to be considered as a contractual proposal of the customer manifested ONLINE through the “Point and Click” system. The confirmation of the order by OlioCru srl, transmitted by e-mail to the address indicated by the INTERNET CUSTOMER, is valid as acceptance of the contract proposal. The contract is concluded, and is binding for both parties, when the order confirmation is sent by OlioCru srl to the INTERNET CUSTOMER. The Customer may purchase the products indicated in the electronic catalog on the site www.oliocru.it, and in the quantities in stock. Should an order exceed the existing quantity in the warehouse, the purchase will be accepted only for the products available. In this case the CUSTOMER will be informed and may order the revocation of the order or the integration with a replacement product. The Customer must immediately notify OlioCru srl of any error or omission of any kind in the payment conditions, quantities and prices contained in the order acceptance document. All sales prices of the products displayed and indicated on the website www.oliocru.it, constitute an offer to the public, are expressed in EURO and include VAT. 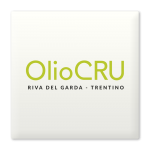 OlioCru srl reserves the right to change the prices published on the www.oliocru.it website at any time. The prices of products published from time to time cancel and replace the previous ones. For orders over 250.00 € 5% discount by entering the promotional code “Over250”. For orders over € 300.00 5% discount by entering the promotional code “Over250”. Delivery times for Zone 1, 2, 3 and 4: within 15 working days from receipt of payment. OlioCru srl will send the selected and ordered products to the destination address specified in the order. In case of absence of the recipient at the time of delivery will be left a notice and the customer will have to personally contact the courier or shipper as soon as possible to agree on how to deliver. The delivery will be carried out by the carriers mainly on the road level. No responsibility can be attributed to OlioCru srl for delayed or non-delivery due to force majeure or unforeseeable circumstances. The Customer undertakes to pay the price of the Products ordered by payment by Credit Card and Pay Pal following the appropriate instructions of the site. The goods sent will be delivered with an immediate invoice. OlioCru srl assumes no responsibility for disservices due to force majeure such as accidents, explosions, fires, strikes and / or lockouts, earthquakes, floods and other similar events that prevent, in whole or in part, to execute in time agreed to the contract. OlioCru srl will not be liable to any party for damages, losses and costs incurred as a result of the failure to execute the contract for the reasons mentioned above, having the Customer only entitled to the refund of the price paid. Similarly, OlioCru srl is not responsible for any fraudulent and illegal use that may be made by third parties, credit cards, checks and other means of payment, upon payment of the products purchased on the site www.oliocru.it. Without prejudice to the hypothesis of willful misconduct or gross negligence of OlioCru srl it is already agreed that, if the responsibility of OlioCru srl in any way against the Customer is ascertained – including the case of total or partial non-fulfillment of the obligations assumed from OlioCru srl towards the Customer due to the execution of an order – the responsibility of OlioCru srl can not be higher than the price of the Products purchased by the Customer and for which the dispute has arisen. The responsibility of OlioCru srl for delays in delivery can not exceed the amount of shipping costs incurred by the customer. The right of ownership of the products offered on the site of OlioCru srl passes to the customer after the complete payment of the products or their delivery, if this happens last. The risks of breaking the Products pass to the Customer at the time of delivery. – communicate the cancellation of the order by e-mail to OlioCru srl before having received confirmation or before the goods have been sent; – not being satisfied with the purchase made, commits itself to the complete return of the received products. (sales@oliocru.it) within the same time frame, provided it is confirmed by registered letter A.R. within 48 hours after sending the telegram, or e-mail. This communication must contain the data necessary to identify the order, the will to renounce the purchase and the product or products for which it intends to exercise the right of withdrawal, attaching a copy of the tax document (Invoice or D.D.T.). – Purchase of goods made to measure or customized by OlioCru srl according to the specific requests of the CUSTOMER or which, by their nature, can not be returned or are liable to deteriorate or expire rapidly. – The products have not been delivered due to the absence of the CUSTOMER from the place of delivery and upon their withdrawal are altered or damaged due to the delay caused by the CUSTOMER. If the withdrawal is made in compliance with the law, the amount already paid for the Products and for delivery costs is credited to the buyer by bank transfer to an account in his name. The only expenses charged to the customer for the exercise of the right of withdrawal are the direct shipping and return of products in OlioCru srl. OlioCru srl markets high quality products, for which it offers a limited warranty from the expiry date of the product. In case of imperfections or anomalies not explicitly attributed to OlioCru srl given the very nature of the products offered in the catalog, the customer can directly contact a sales manager through our contact channels (sales@oliocru.it, +39 0464715344). Any right of the Customer to compensation for damages or compensation is excluded, as well as any contractual or non-contractual liability for direct or indirect damages to persons and / or property caused by goods purchased through www.oliocru.it. The Customer agrees, once the purchase procedure provided by the site www.oliocru.it is concluded, to provide for the printing and preservation of these general conditions, which, however, will have already viewed and accepted as an obligatory step in the shipping phase order online. This in order to fully satisfy the condition referred to in Articles 3 and 4 of Legislative Decree N.185 / 99. It is strictly forbidden for the Customer to enter false data, and / or invented, and / or fancy data, in the registration procedure necessary to activate the process for the execution of the present contract and the related additional communications; the personal data and the e-mail address must be exclusively their real personal data and not of third parties, or fancy ones. It is expressly forbidden to enter data of third parties. It is also forbidden for minors to register. OlioCru srl reserves the right to prosecute any violation and abuse, in the interest and for the protection of all consumers. The promotions proposed on the site www.oliocru.it are valid until stocks are exhausted and within the limits of purchase indicated on the Site. The promotions are not cumulative. The products in promotion can be delivered in promotional packages, different from those published on the Site. The offer of any free products is valid until stocks run out. No replacement or return is possible in relation to any Products received free of charge by the Customer. Personal data are collected for the purpose of registering the Client and activating the procedures for the execution of the present contract and the related necessary communications; these data are processed electronically in compliance with the laws in force and may be presented only upon request by the judicial authority or by other authorities authorized by law. Personal data will be communicated to subjects delegated to perform the activities necessary for the execution of the contract stipulated and disseminated exclusively for that purpose. The interested party enjoys the rights referred to in art. 13 L.675 / 1996 with reference to the right to privacy. For any unresolved dispute between the parties the Court of TRENTO will be exclusively competent. The computer system related to the completion of the order is such as to prevent confirmation and validation of the same in the absence of an explicit command given by the Purchaser and aimed at confirming the reading of these CONDITIONS OF SALE by the Purchaser. Important Note: The most up-to-date revision of the General Conditions will be the one that, when the Customer signs the order, disciplines the order; the Customer is therefore requested to print and keep a copy of these GENERAL SALES CONDITIONS for his future reference, and to subsequently verify any variations to the one he has printed. Contracts stipulated online by the Customer on the www.oliocru.it website are governed by Italian law. Although not expressly provided for here, the applicable laws are applicable to the reports and the cases specified in the contract stipulated online by the Customer with OlioCru srl.